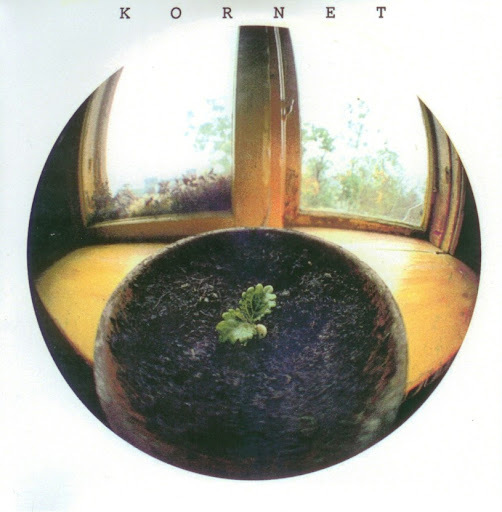 KORNET was a jazz-rock group formed at Framnäs college in Öjebyn by guitarist Stefan BJORKLUND, drummer Ake SUNDQVIST, and keyboardist Stefan NILSSON in 1974. They were joined by Anders JONSSON on Vibes, bassist Sten FORSMAN and a large ensemble including brass, woodwinds and strings. Their sought-after debut LP 'Kornet' was released in 1975 on Manifest. The collective went on to release two more albums during their heyday, 'Fritt Fall' in 1977 [also on Manifest] and 'Kornet III' in '79 on PickUp Records. everytime i visit here i learn about music and musicians that i never anything of previously. thank you for the education. Very good fusion with skilled musicians. Thanks a lot!